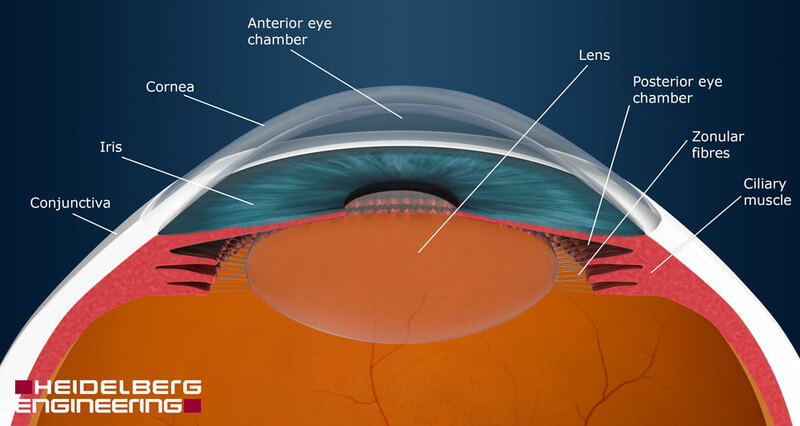 The anterior part of the eye consists of the transparent cornea, which serves as the eye’s “windshield”, allowing us to view the world, and at the same time, protecting the eye from external impacts. Located behind the cornea is the pupil, the part of the eye through which light can enter the interior of the eye. Depending on the intensity of the light, the eye widens or narrows the pupil in order to control the amount of light passing through (bright light = small pupil, dark light = large pupil). This process is also referred to as adaptation.